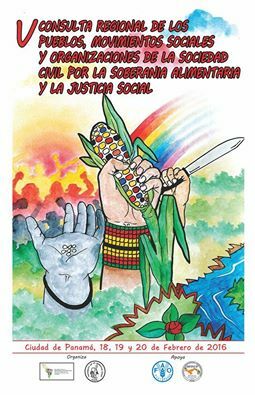 food sovereignty and a healthy environment depend on it. This brochure has been produced to help raise awareness of the importance of biodiversity for food and agriculture – agricultural biodiversity – and the role that small-scale producers are playing in sustaining it. 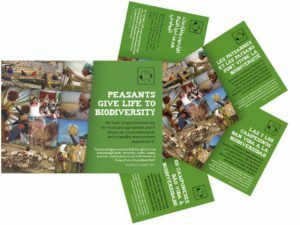 exerting collective control over our seeds and other components of agricultural biodiversity. 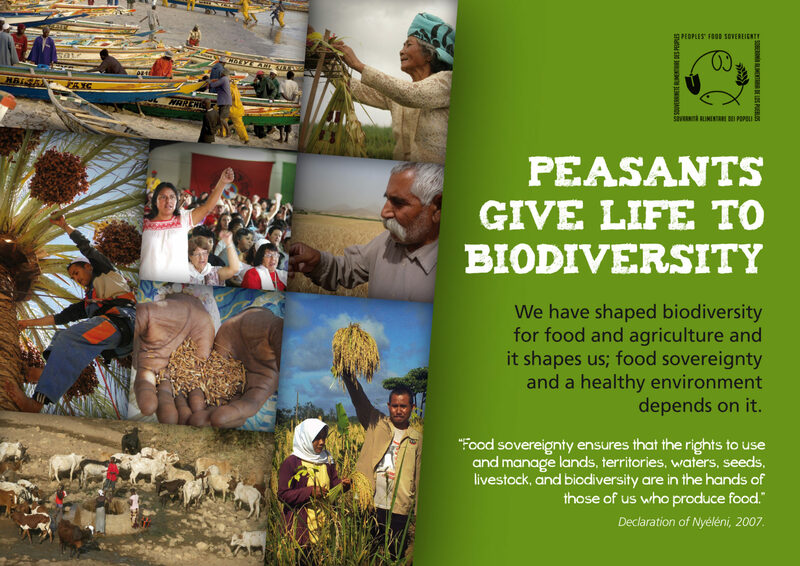 It also highlights peasant participation in research and the elaboration of public policies that can develop and defend agricultural biodiversity, in the framework of Food Sovereignty. 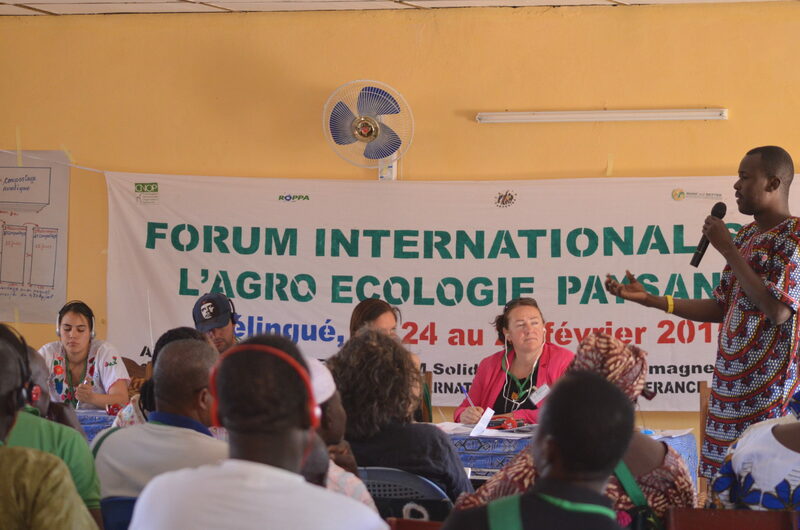 Reinforcing the interconnecting and collective rural-urban food webs and local markets, which feed the majority of people in the world. * Copies of this brochure in Arabic, English, French, Portuguese and Spanish, are available here.